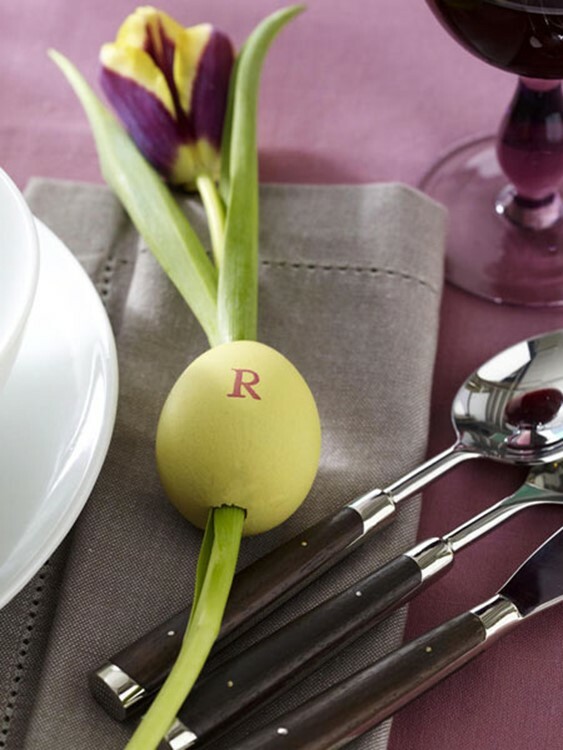 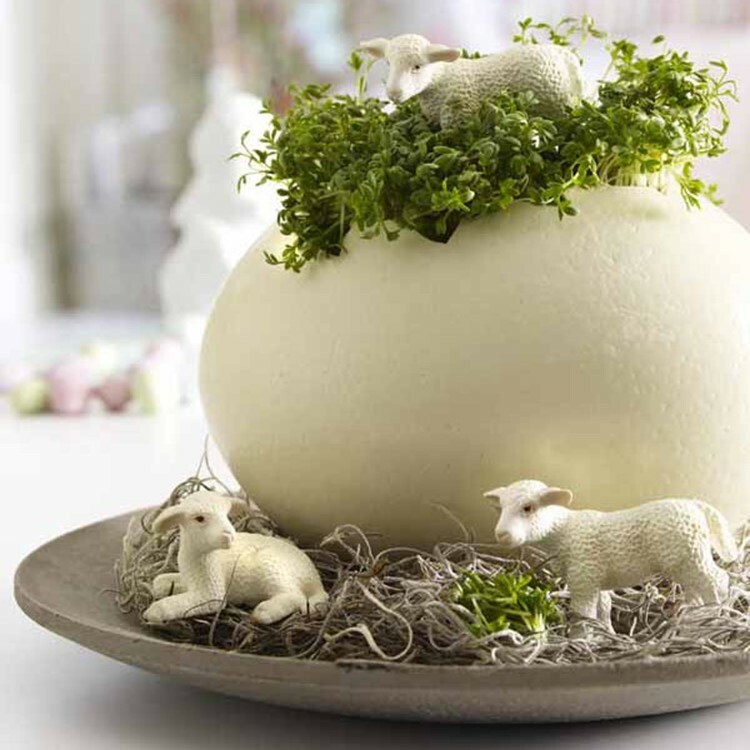 The idea of this unusual flower arranging could be considered only for Easter. 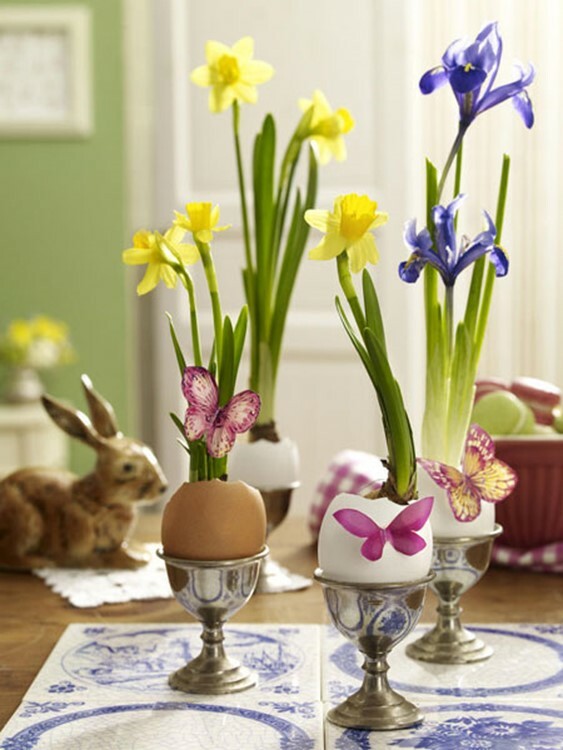 But in other days of spring this original arrangement of flowers will be no less appropriate. 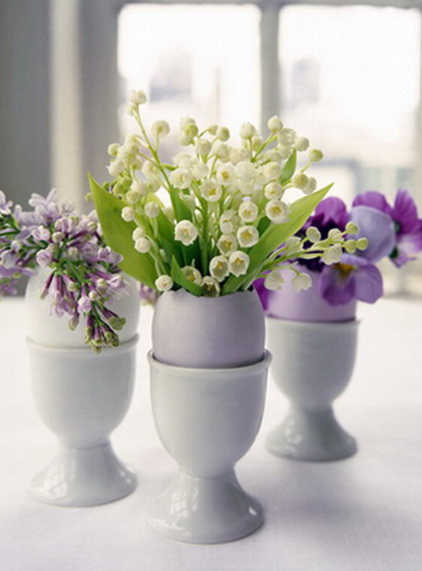 However, why only in the spring? 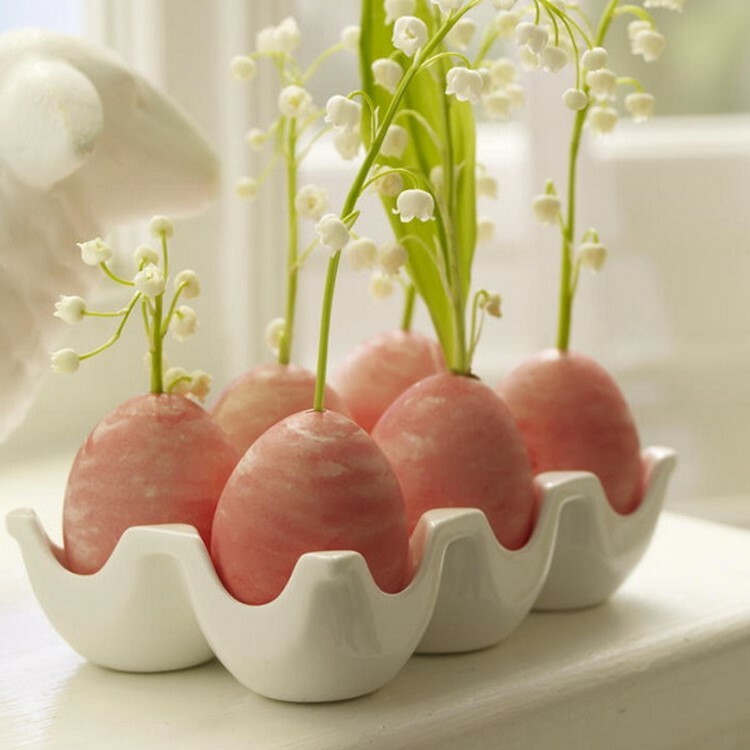 In the kitchen each family will have eggs, and in life there is always a place to the creativity. 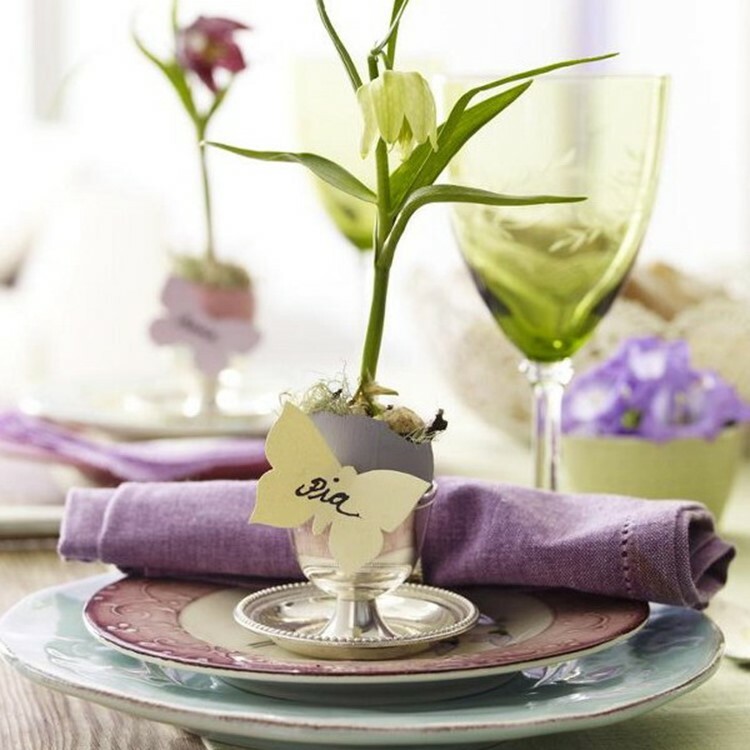 The ease of implementation and unpredictable type of bouquet is what you will receive in just 5-10 minutes. 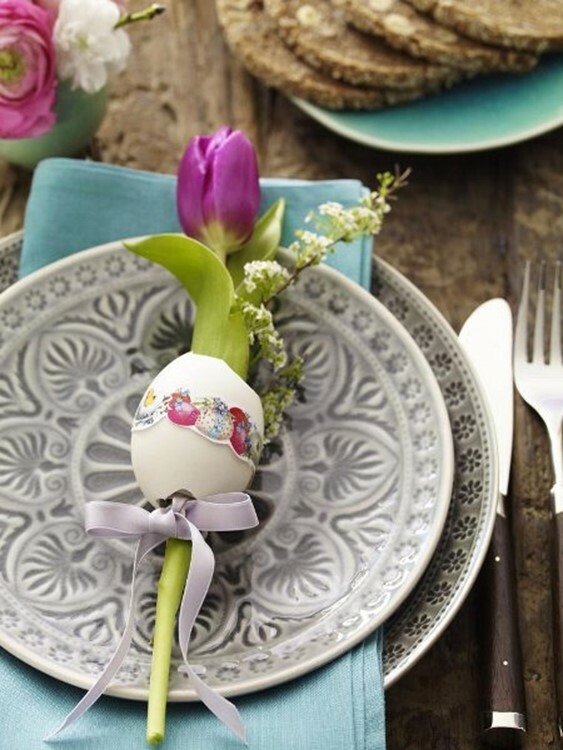 Isn’t that a tempting prospect when the guests are at the door, and you have no extra time?! 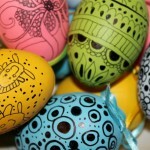 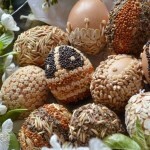 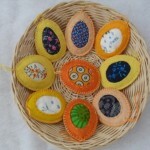 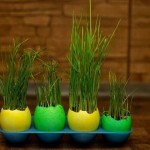 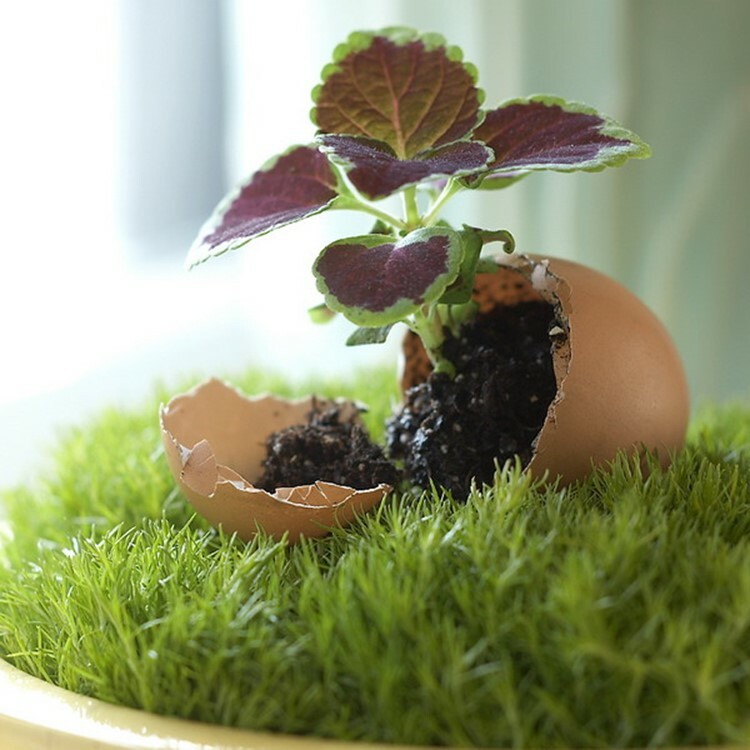 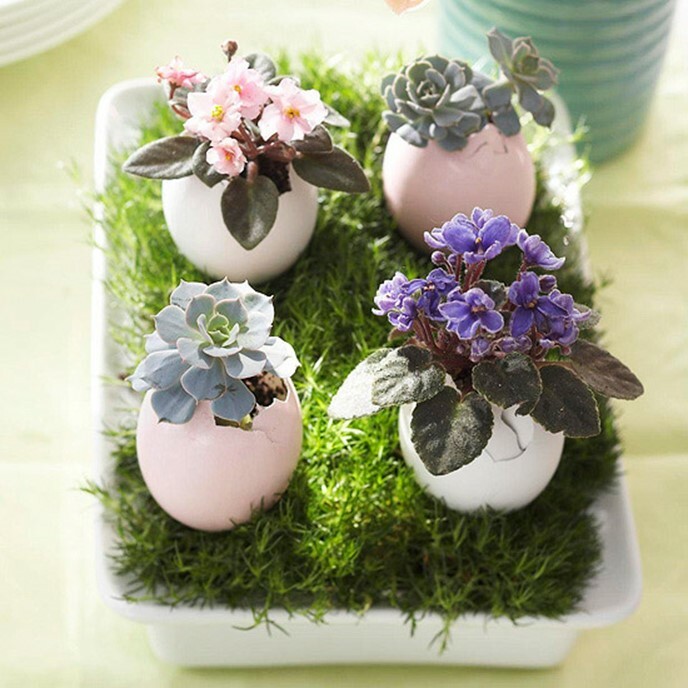 Check out this gallery, we collected it the best examples of decoration of flowers in an eggshell. 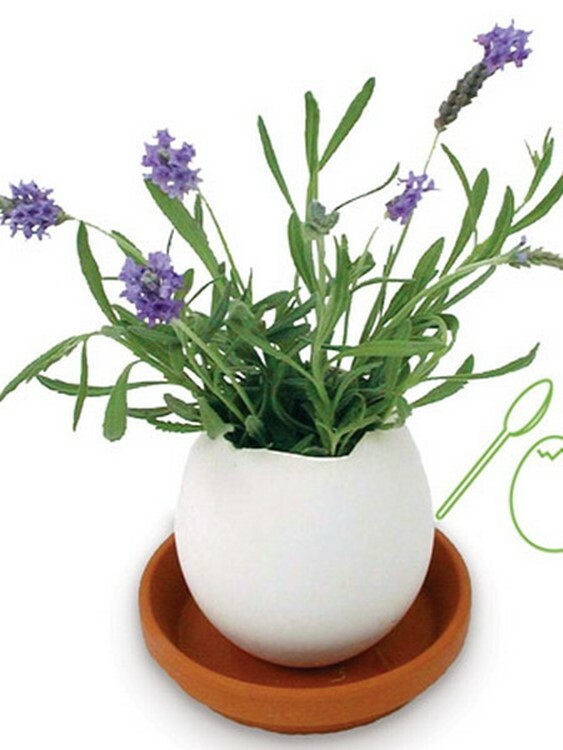 The most curious thing that these compositions can be created with the participation of indoor plants or herbs! 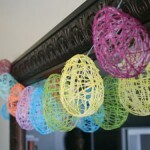 So, how to do it. 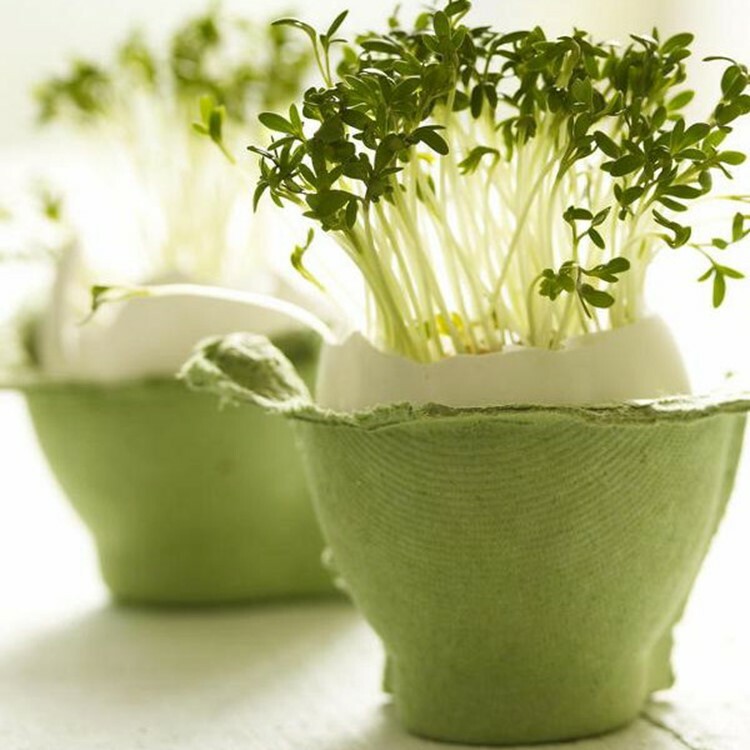 Step 1 (for different purposes). 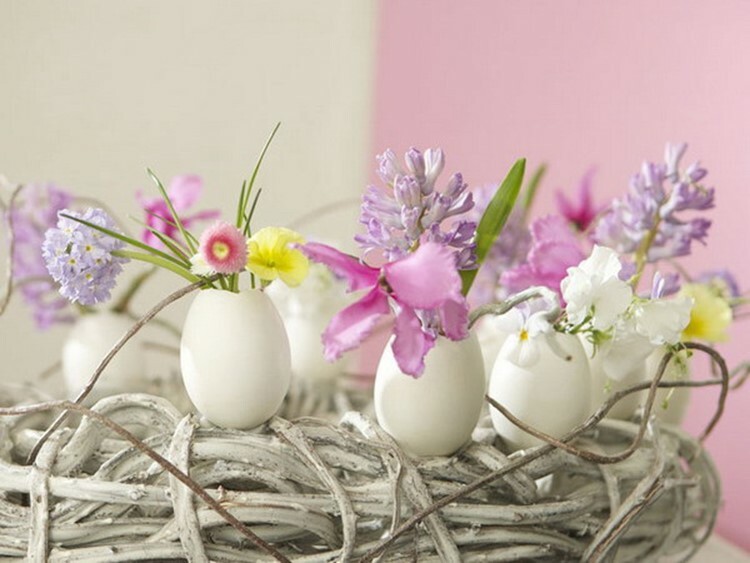 going decorate the guest’s plate flower, threaded through the shell (photos at the end of this gallery), – make a through hole in the ends of the eggs of such diameter that held the stem of a flower. 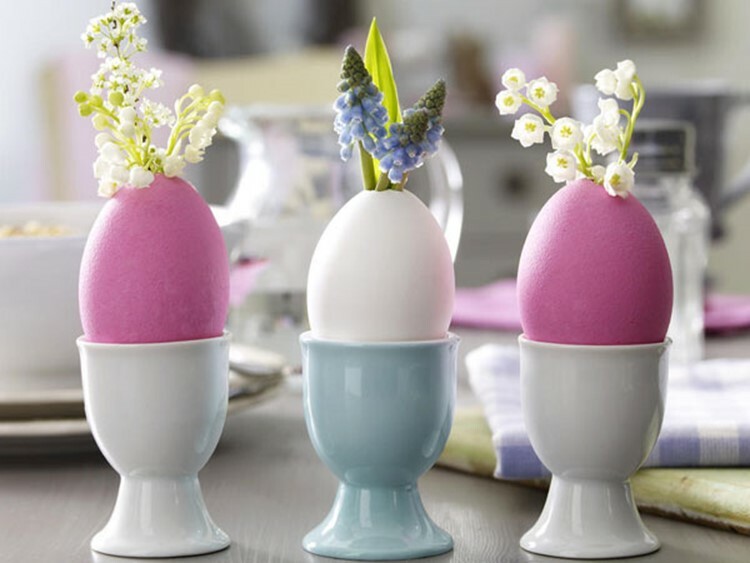 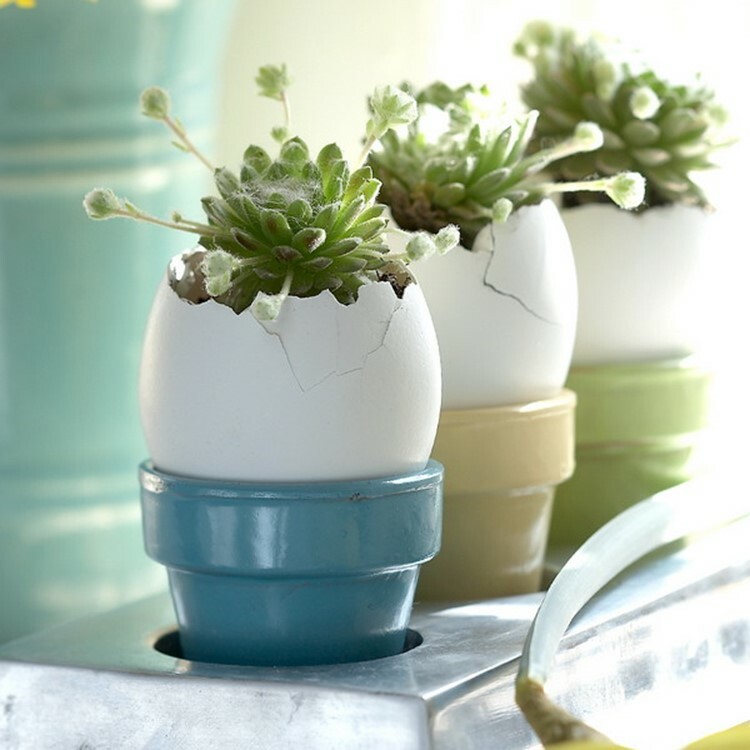 If you love crafts, egg shells might be decorated (for example, as in the photo under the header). 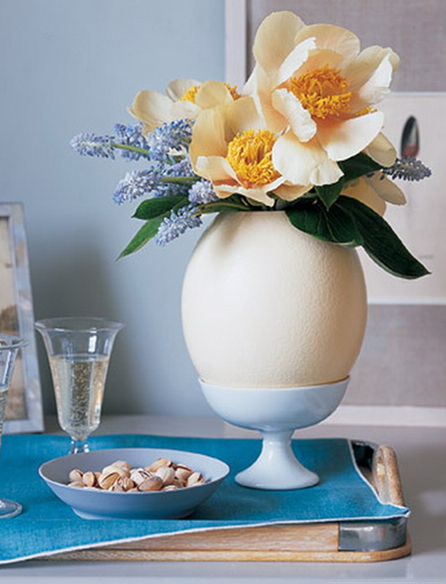 And if you find exotic eggs especially large sizes – they’ll make great floral arrangements – not worse than in this vase. 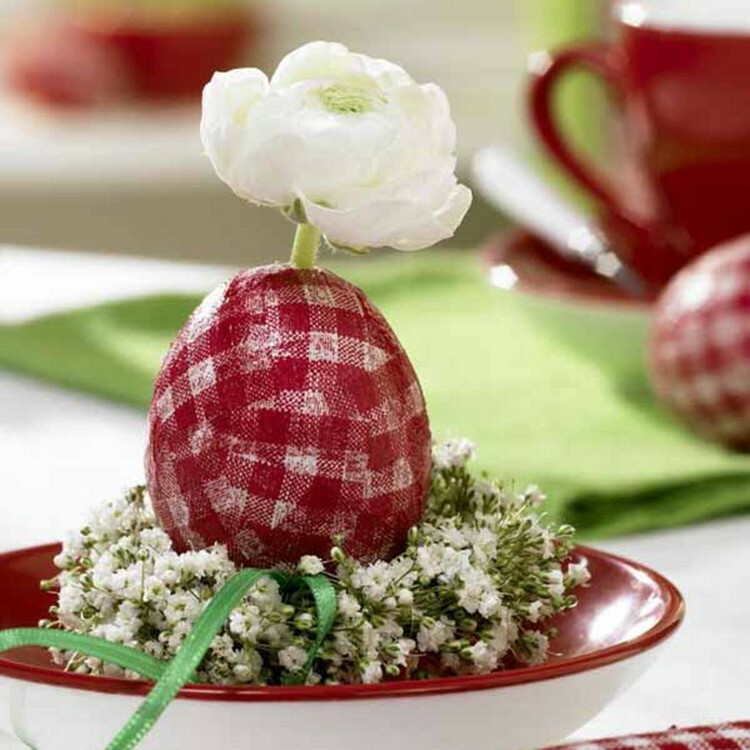 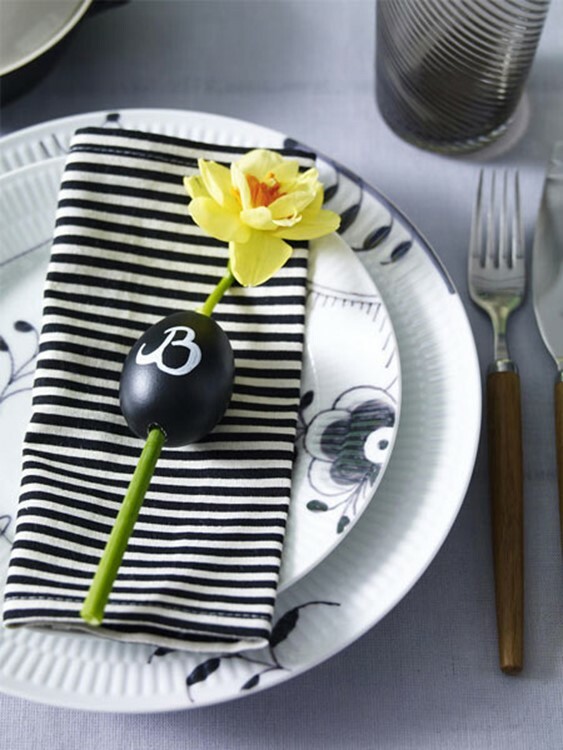 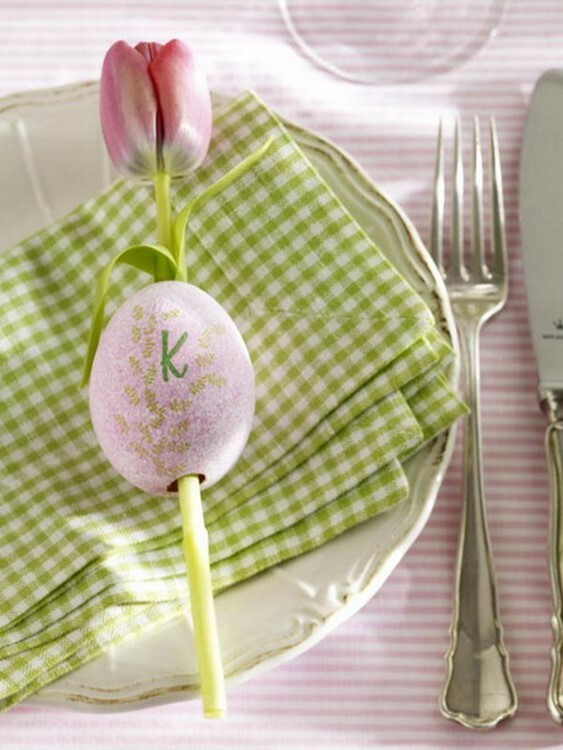 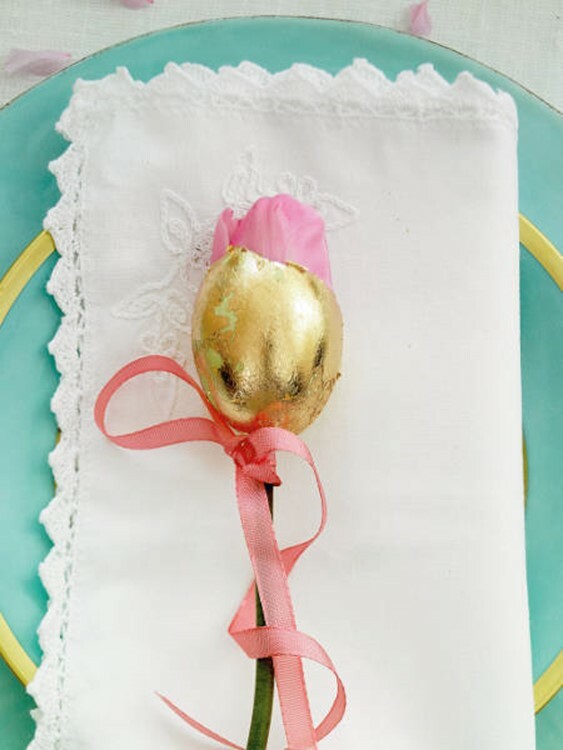 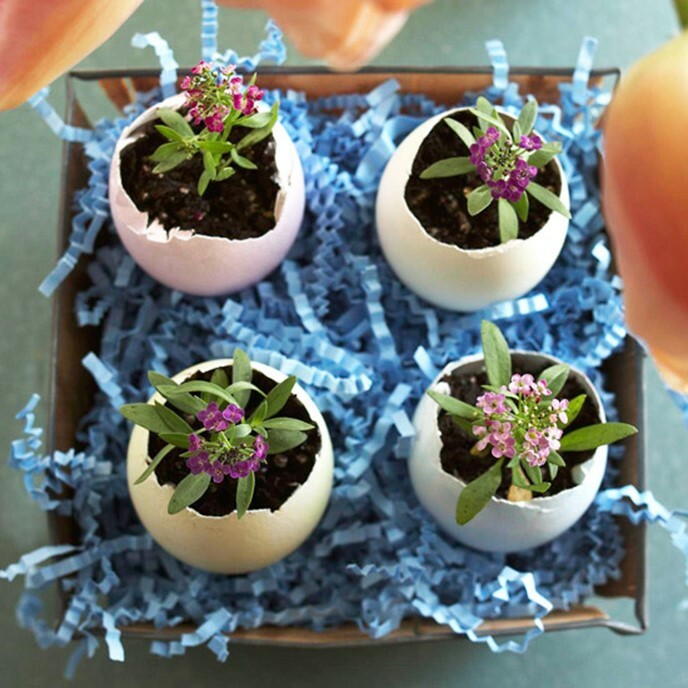 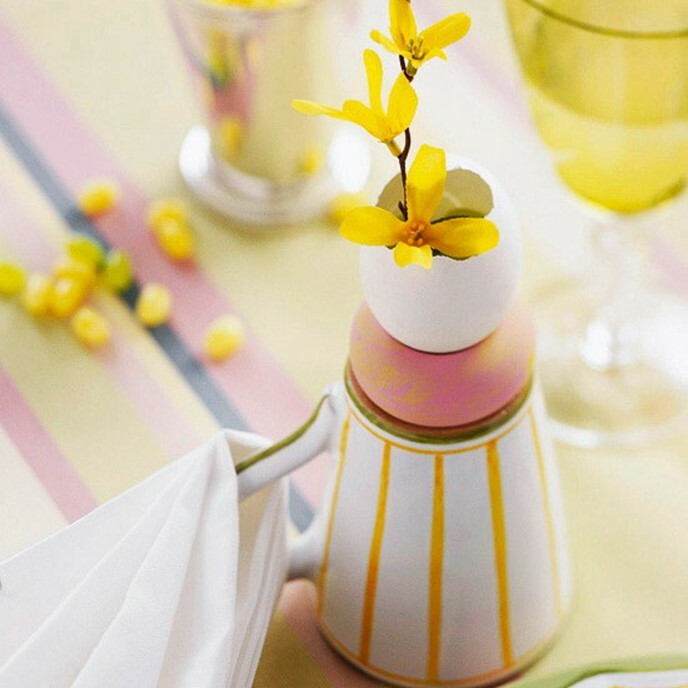 thread the flower through egg shells, optionally, add a ribbon and place them on a napkin. 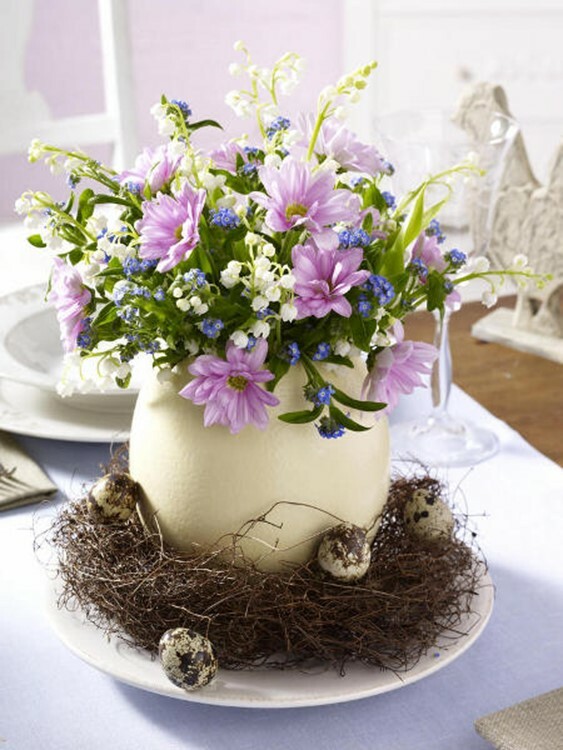 make an arrangement in the center of the table, for example, on a tray, decorated with grass or a “nest” made of twigs or paper shavings. 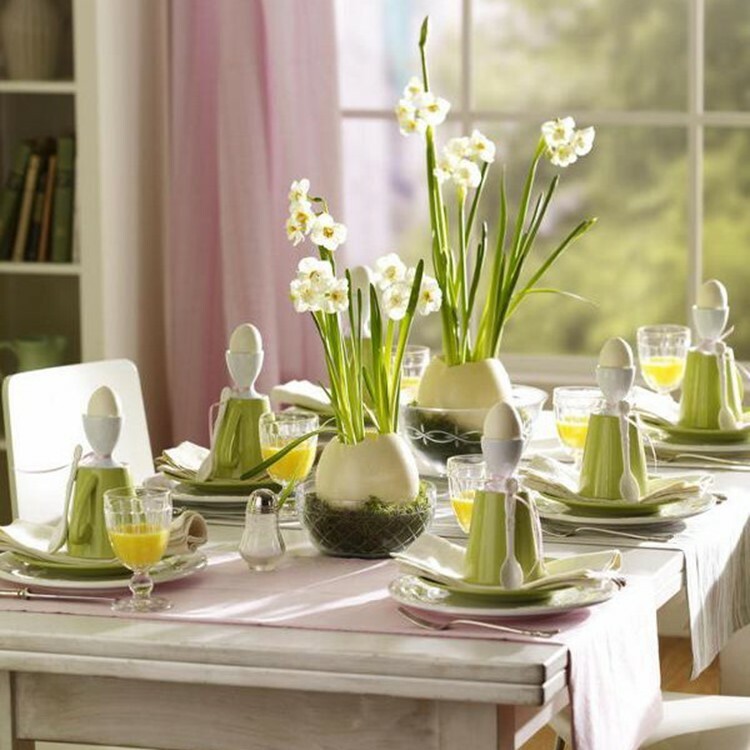 Consider the options of the decor and create – to the delight yourself and loved ones!